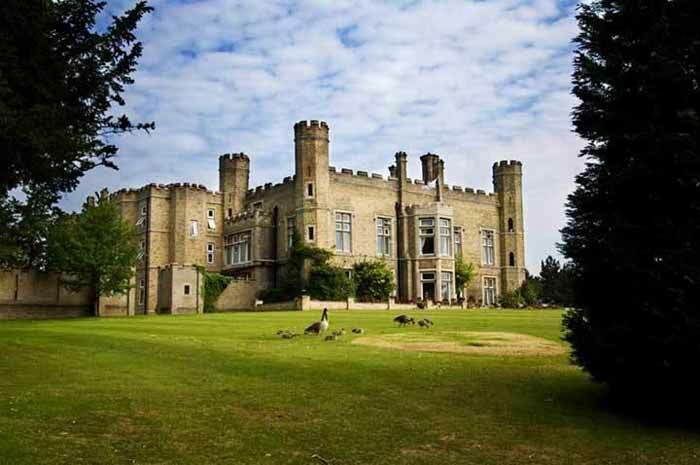 If you’re one the unfortunate few who hasn’t inherited one of the UK’s beautiful castles, we feel your pain. The UK is home to some of the most stunning historical buildings in the world, and who of us doesn’t occasionally fantasize of stepping inside our very own castle! Well, as fantastical as that might sound there are still a few castles dotted around that you can stay in and keep that dream alive. 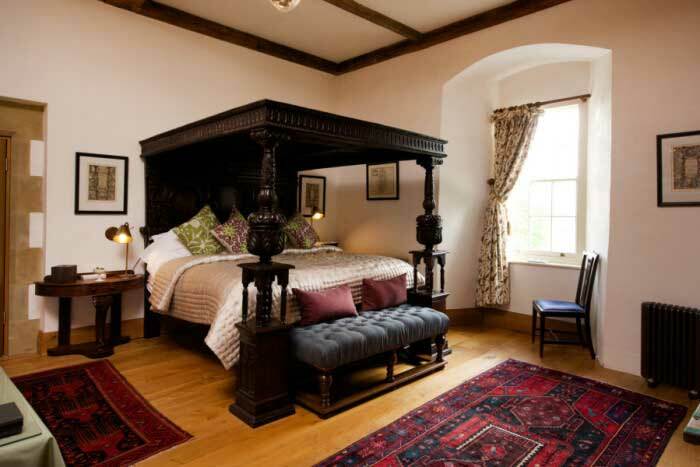 We took a look at some of the amazing castle hotels Yorkshire has to offer. 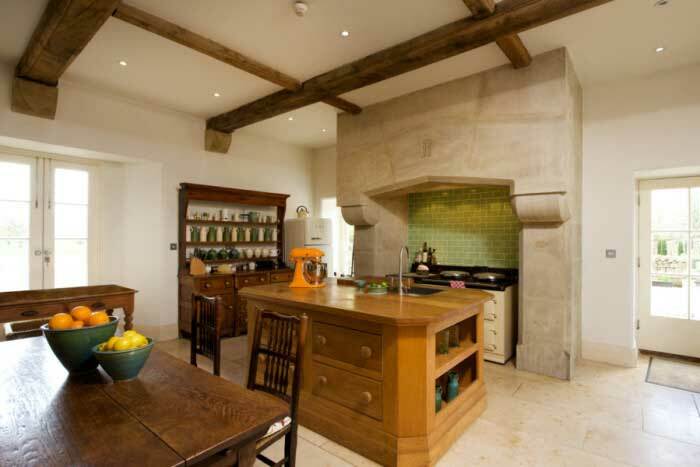 As you might imagine, these places are highly sought after so plan well in advance. 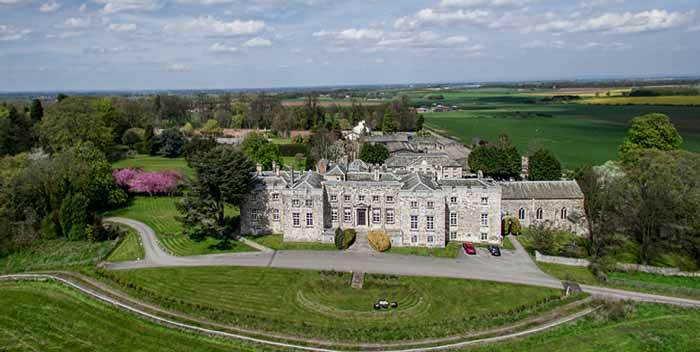 Just off the A1 between Leeds and York, Hazlewood Castle has been in the family estate of the Vavasours since Norman times and was mentioned in the Domesday Book in 1086. With 32 tastefully decorated rooms that compliment the feel of the building, you will enjoy a sense of luxury that you would expect from a building of this prestige. No self respecting castle is complete without some spooky goings on and this place offers a number of sightings. So, if your of a nervous disposition you might want to avoid the Tansy bedroom, the Lavender bedroom and the Rose bedroom, all of which have been reported to have a certain presence. You will not be bored at Hazlewood as they offer an abundance of activities within the grounds. From quad biking and paintballing to axe throwing and archery there’s almost too much choice at Hazlewood. And if you’re in the market for unlocking your inner Bear Grylls they also offer a bushcraft course. 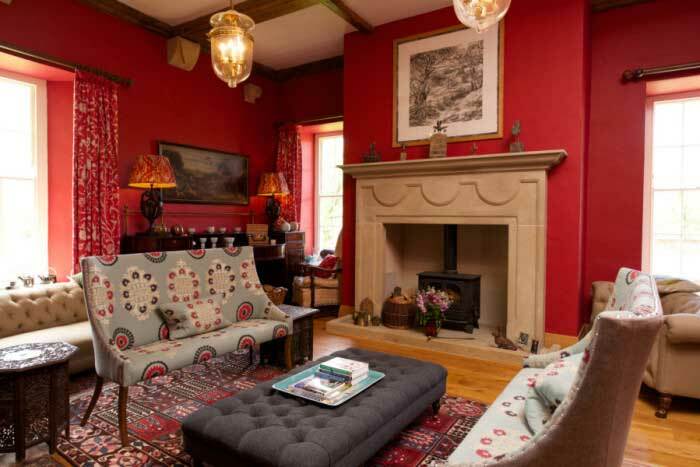 If you fancy venturing further afield, there’s plenty places of interest in the vicinity, including Mother Shiptons Cave, Newby Hall, Castle Howard and RHS – Harlow Carr to name just a few. Find more reviews and the best room prices at TripAdvisor. Ask a child to draw a picture af a castle and the result will look something like Cave Castle. As you approach through the stone arch and up the wooded drive you cannot fail to be impressed by the grandeur of Cave Castle with its original turrets, stone features and historic charm. 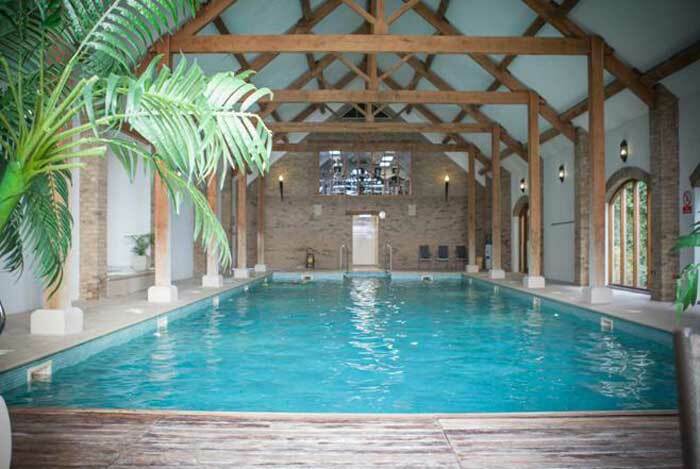 Nestling at the foot of the Yorkshire Wolds this is the idyllic country retreat for a relaxing and tranquil stay with its health and leisure facilities, including an 18-hole golf course which can be used by residents at discounted residents’ golf rates. This place is genuinely fit for a king, it’s charming and refreshing and on the day you leave you’ll be itching to return. According to one reviewer on TripAdvisor “the surroundings are beautiful, the interior atmospheric and the staff are exceptionally friendly and welcoming”. Find the best room prices at TripAdvisor. Turn the clock back 30 or 40 years and you would be considered crazy to want to stay here. But one man, architect, Francis Shaw, was just crazy enough!. Once a crumbling mess, Peel Castle was revived by Francis, who had become obsessed with the building. Peel Castle is world famous due to its appearance on C4’s Grand Designs, who followed Francis and his team as the brought the building back to life over three years. If you’ve got a spare 50 minutes we’ve included the video below; it really is very good. After living in the castle for around 12 years Francis decided to put his castle on the market. And now for the disappointing news: it doesn’t appear to be open to stay in at the moment. Francis and his wife Karen announced their retirement from the B&B in 2016. It no longer appears to be on the market, but we don’t know if it sold or they had a change of heart. We just thought this place was just too good to leave off the list. We will be sure to keep our eye on this place. The slightest whiff of Peel Castle opening up to the public again and we’ll be booking our stay. For more information visit peelcastle.co.uk. 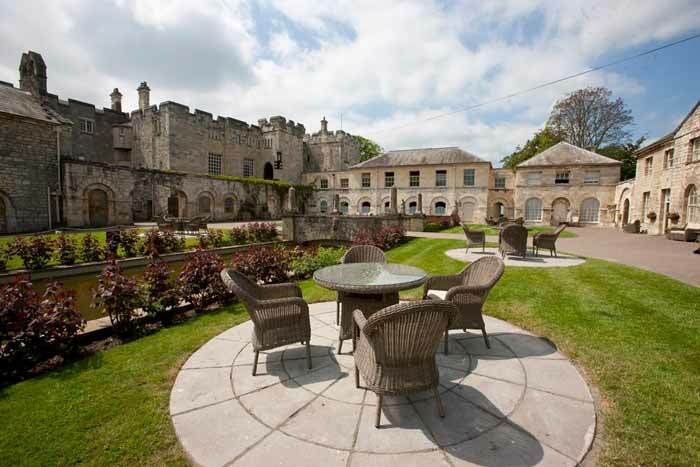 This place is really quite special; an exclusive 32-bedroom luxury castle hotel. 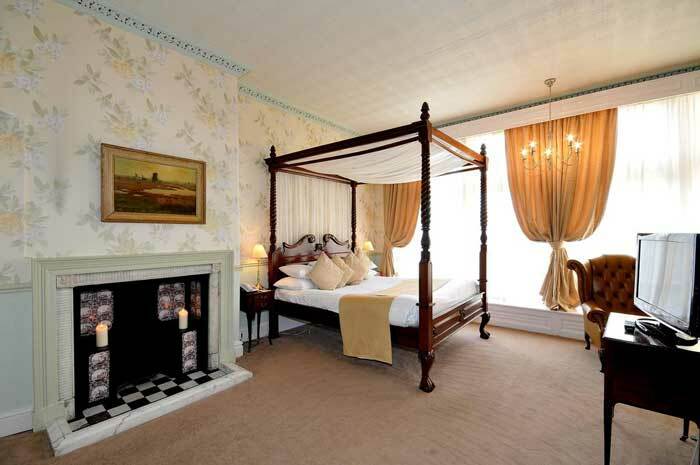 With 4 Red Stars and 3 Rosettes awarded by the AA for excellent facilities, this is the highest rated hotel in Yorkshire. Swinton Park is the ancestral home of the Cunliffe-Lister family and is set in 200 acres of parkland, lakes and gardens. 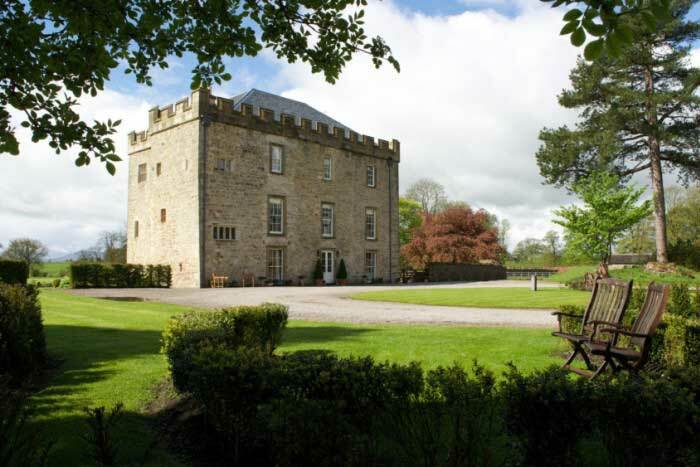 The castle is surrounded by the family estate in which guests have access to a Bird of Prey Centre, rivers, moorland and beautiful countryside bordering the Yorkshire Dales National Park. 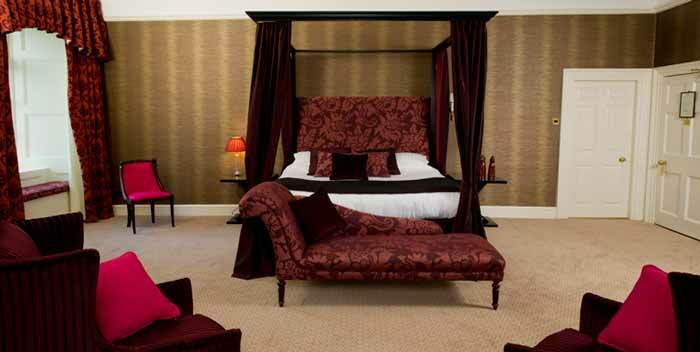 Every room at Swinton Park is exquisitely decorated, the building feels grand and the service is excellent. 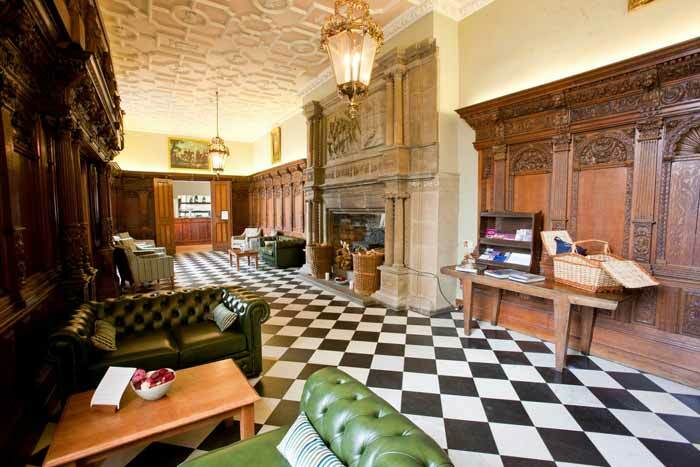 If you want to feel special go to Swinton Park. Cawood Castle is steeped in history. Once the residence of the Archbishops of York, the castle also played host to Henry III and Edward I. 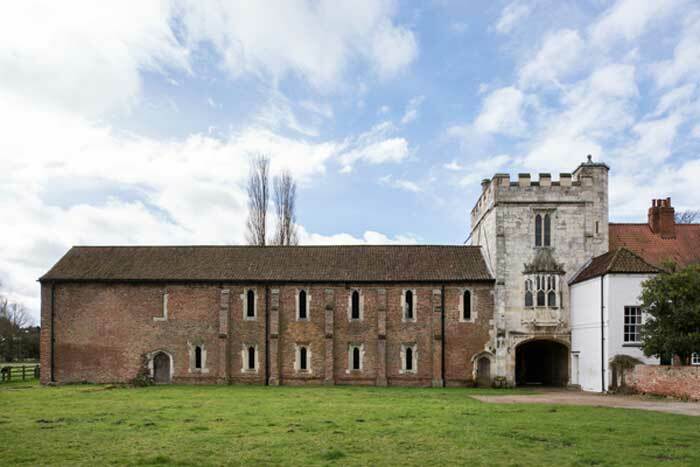 It was a place of oppulence, now the late medieval rooms in this gatehouse are all that survive of Cawood Castle. Along with 7 other castles in the North, Parliament decided that it should be slighted or made untenable with most of the castle being demolished. It was also here that Cardinal Wolsey was dramatically arrested for treason on Henry VIII’s orders. 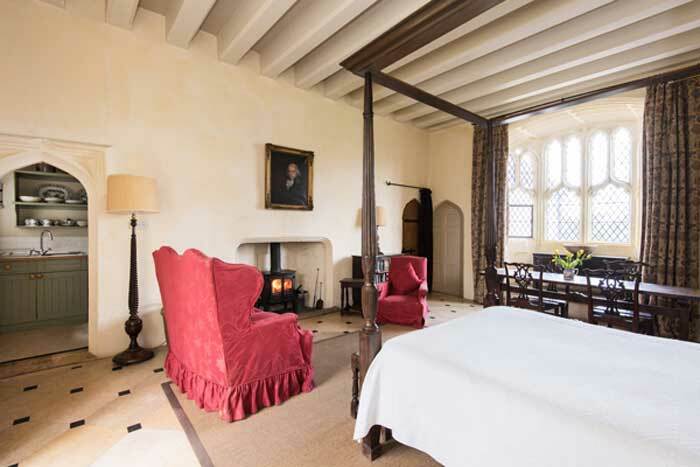 Even though Cawood Castle is a fraction of its former self, what remains offers a dazzling taste of sleeping in a fine late-medieval space. The gatehouse is attached to the magnificent former great hall (now empty) and overlooks open ground in the centre of Cawood. 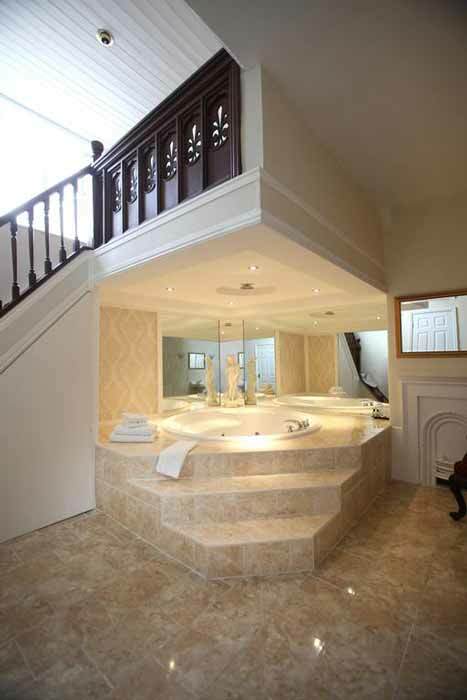 Stairs from the second floor lead up to the flat roof which offers lovely panoramic views of the surrounding Yorkshire countryside. The nearest town is Cawood, a historic market town with a bridge over the River Ouse. 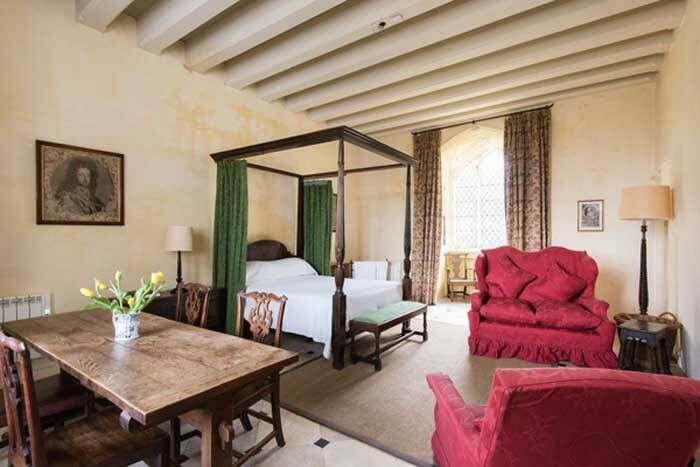 Right in the middle of the Vale of York, guests staying at Cawood Castle benefit from its relative seclusion whilst never being more than 15 miles away from Selby, York and Leeds and all they have to offer. 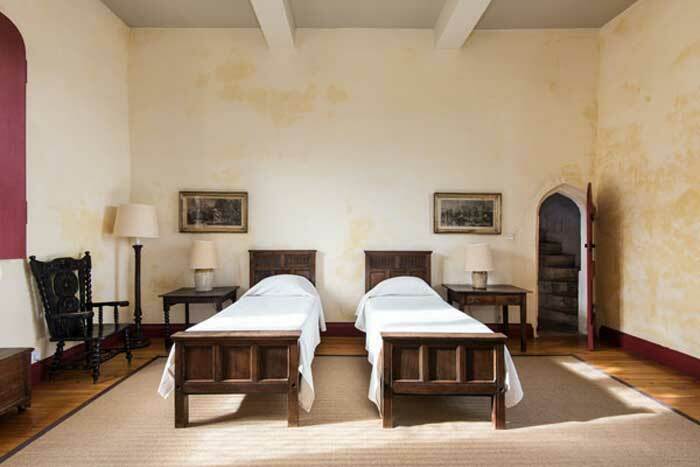 Find the best room prices at landmarktrust.org.uk.